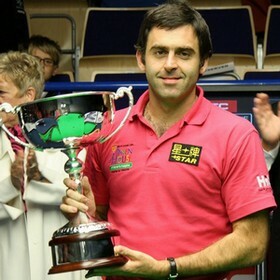 Ronnie O'Sullivan successfully captured his second PTC title by beating Matthew Stevens 4-2 in the final to win PTC 7 (Kay Suzanne Memorial Trophy) at South West Snooker Academy. The Rocket won PTC again after PTC1 in June. He is the first man to win more than one PTC title in a single season which no one has done it before. Ronnie won the final against Stevens 4-2 with breaks of 95, 88 and 76 to secure his second PTC title. He pocketed 10000 pounds and 2000 ranking points that he needs urgently. Ronnie dropped out of top 16 provisionally before PTC 7. Now he surpassed Mark Davis to get back to top 16 with winner's 2000 points. His rapid fall in the rankings recently was due to his absences in PTCs and oversea ranking events as well as first round defeats in the local ranking events. This pushed him on the edge to lose his top 16 place. The Rocket enthusiastically participated in PTCs this season which gained him over 5000 points. I hope Ronnie can win a ranking event in the near future after two years' waiting. On Q young players Michael White and Jimmy Robertson both reached semi-finals but lost. Recognisable achievements for both, especially Michael White to win his quarter-finals match against Higginson - White came down from 0-3 to win 4-3 with three centuries. Another impressive stuff from Amateur Kyren Wilson reaching quarter-finals by whitewashing Joe Perry. 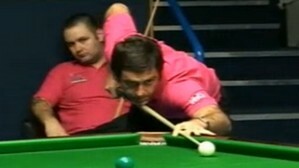 Runner-up Matthew Stevens missed to win the title for Paul Hunter but Stevens is in an excellent form. He beaten Carter on the final black in the decider in last 16 and beaten Murphy determinedly. Fancy Stevens to win one PTC this season. The next PTC is PTC8 in Killarney, Ireland and will be broadcasted live on Eurosport starts by October 21.